Adicione um toque divertido ao seu passeio turístico em Budapeste e veja as vistas a bordo de um tuk tuk motorizado. Deslize pelo bairro do Castelo de Buda; desça para tirar fotos da Praça dos Heróis, da Igreja de Matias e do Jardim da Filosofia; e veja a Ponte das Correntes, a Basílica de Santo Estevão e o edifício do Parlamento Húngaro. We would like to thank Paul who was our tour guide. He made our tour so amazing and was extremely informative and patient! Thoroughly enjoyed this tour! A brilliant way to see the city and many of the spots you just wouldn’t get to any other way. Good to be able to interact with our excellent tour guide Peter too. Excellent tour - guide was great and the vehicle could get into many places automobiles or buses could not. Excellent way to visit Budapest! Krisz picked us up at our Hotel and took us to see all the the sites mentioned and even went off the path to show us a little more. He was explained every place and the history. He even got us into the New York Cafe, skipping the line so that we could enjoy coffee and shtrudels. 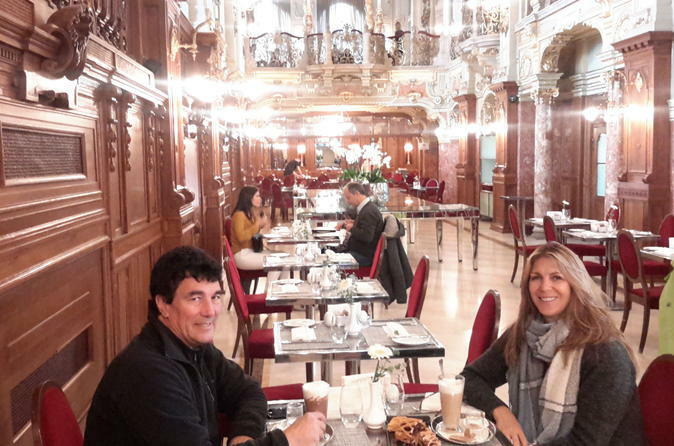 We were able to get off and take photos, let us walk around on some of the highlights like Fisherman's Bastion, Gellert Hill, the Parliament, the shoes on the Danube memorial, anything we wanted, he would accommodate us. We were given blankets to keep warm because we toured in late September but it was a sunny day. Great and fast way to visit when on a short stay. Loved it! Fabulous way to see the city. Our guide Paul was bang on time, and took great care of us. Our 4 hour trip was worth every penny as we saw the sites, including going up to the Buda hills, off the beaten track. We even had time to have a drink in a ruin bar and visit the market hall. Hearing about Budapests history and politics was fascinating. Paul even keeps a book of maps in the Tuk Tuk to help explain the historical changes to the land ownership. Will definitely book another trip when we return. We were taken to all the major sites and have sufficient time to take photos of the magnificent view. The driver was friendly and courteous. He drove safely. 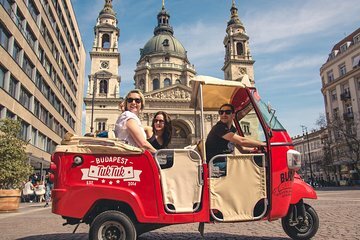 If you have limited time in Budapest, Tuk Tuk is a very good choice as it covers almost everything you need to see and what you are left to do is to decide which site to enter. It was a great way to see Budapest. There is plenty to see and I would definetly recommend the 4 hour tour. I read a review that said request Peter. We did so and we were very pleased. He was a very knowlageble and a personable person. I'm sure many other guides are good but you can't go wrong with Peter.